Based on the inspiring book and astonishing true story of the girl rescued by an out-of-the-blue accident, comes Columbia Pictures' “Miracles from Heaven,” the rousing portrait of a family suddenly discovering joy and promise in the most tumultuous moment of their lives. Golden Globe® winner Jennifer Garner stars as Christy Beam, a tenacious, devoted mother whose world is flipped upside down when her daughter Anna (Kylie Rogers) is struck with a rare, incurable disorder. With a parent’s fiercest determination, Christy summons the courage to do everything she can and beyond for her child, heading on a heart-gripping quest through a medical maze, even as her faith begins to flag. Yet, just when all truly seems lost, a series of unfathomable yet documented events unfold that leave not only Christy but doctors, family and community at once baffled and profoundly inspired by the astonishing mysteries life holds out to us. Everybody comes to a crucial moment in life when they feel they’re flat out of options. Maybe it’s a daunting health crisis. Maybe it’s family troubles or a tough emotional dilemma, but one way or the other we’ve all hit that brick wall where hope, faith and everything that usually sustains us through the day-to-day seems to evaporate, leaving the mind reeling with massive questions with no ready answers. These moments can take us down; but it is also in these moments that the unpredictable beauty and grace of life can suddenly beguile, surprise and utterly change us. 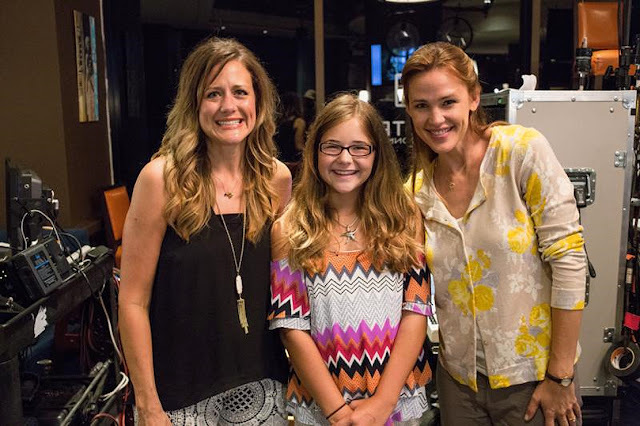 Texas mom Christy Beam was in exactly that position when she began the story that became her inspirational memoir, Miracles From Heaven. She was living an undeniably blessed life in Texas with her veterinarian husband and beautiful family of three vivacious daughters. But then, her middle daughter Annabel got sick. Diagnosed with a heart wrenching, fatal disorder – one that left her unable to digest the food most of us take for granted as one of life’s pleasures – Annabel was in dire straits. The best doctors on earth were at a loss for a solution. And all of Christy’s relentless, ceaseless efforts to heal her daughter seemed to be failing. Though absolutely unwilling to give up on the outside, on the inside, Christy was terrified, uncertain, lost. Then, in an instant, everything changed. It began with a shocking, headlong tumble into the core of a hollowed-out cottonwood tree and it turned into both a headline-making rescue and a stunning result no scientist could adequately explain. Annabel herself had an amazing personal story to tell: a memory of a heavenly encounter that dispatched her back to her family. But for Christy, her daughter’s inexplicable recovery was only the beginning. For her daughter’s seemingly rare miracle became a moment that transformed their daily lives – as Christy began to see just how many day-to-day miracles had graced their path: from the kindness of a stranger, to the compassion of a brilliant doctor, to the candid conversations that rekindled the entire family’s sense of purpose and belief. Beam notes that big, logic-defying mysteries such as Annabel’s can serve as reminders that subtler wonders surround us on a regular basis – and she hopes through her family’s story more people will take solace in knowing how life-changing a single act of compassion or kind word can be. Opening across the Philippines on March 16, “Miracles from Heaven” is distributed by Columbia Pictures, local office of Sony Pictures Releasing International.